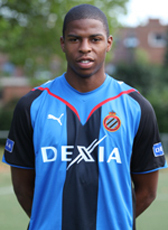 Holland U21 international Ryan Donk played impressive football at RKC Waalwijk. A 2,5 million euro move to AZ was the result. He signed a contract until 2011. However his talent was not enough to convince his coach Louis van Gaal. In summer 2008, Donk moved abroad and signed a 1-year loan deal at the Baggies until June 2009. In May 2009 WBA confirmed that the option to buy was not used and he returned home to AZ. He has not made a big impact and played around half of the matches. In June 2009 he signed a 4-year contract at Belgian giants Club Brugge. His new coach Adrie Koster was also his coach at RKC Waalwijk and he was hoping to get new opportunities to continue his career. During his Belgian seasons, he was a regular player in the selection playing almost all the matches. He extended his contract with another season until 2014, but agreed to leave the club in 2013 for Turkey. Kasımpaşa was his new club that he joined with fellow Dutchman Babel until 2016. In January 2016 he signed a 2,5 year contract at Turkish giants Galatasaray. Donk moved for a 2,5ME fee to the Istanbul-based club. Without many playing opportunities he was send on loan to Spain to join Betis Sevilla on a season deal. In June 2018 his contract was extended with another season after good performances.